We pride ourselves on being an independent recruitment agency – and not like other agencies. We meet all of our candidates face to face, so we really get to understand their character, likes, dislikes and what they are looking for in their career. 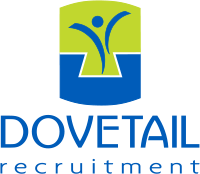 Samantha looks after Dovetail’s Engineering, Technical and Procurement divisions and she was approached by a great applicant looking for a change in her career. One of her clients, a logistics company in the Christchurch area were looking for someone to work as a Freight Organiser – which Samantha had been working on. Although she didn’t have the right experience they were looking for and wasn’t a natural choice on paper, Samantha had met with her and thought she seemed a ‘perfect fit’ for the company – with the abilities to adapt her skills to the role. Samantha has a great relationship with her client, meeting with them personally too means she understands their company culture, and knows the sort of applicants they look for and like to have as part of their team. She was able to persuade them to meet her candidate for the role. Once the interview was set up, Samantha gave her candidate all the information she required to attend interview, answering all the questions she had about the company and role. It all went well, a second stage interview followed –and thankfully all of the directors really liked her and they offered her the Freight Organiser position very quickly. 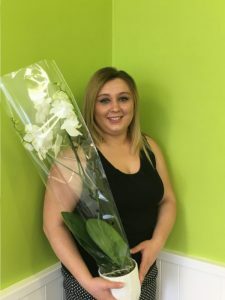 Our candidate was over the moon to accept and brought in a beautiful orchid and lovely card to thank Samantha for everything she’d done, finding her the change in career she was looking for.